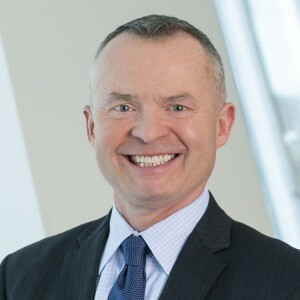 Jeff Winton is the senior vice president, corporate affairs, and chief communications officer at Tokyo-based global biopharmaceutical company Astellas Pharma, one of the two largest healthcare companies in Japan and a top 20 global biopharmaceutical company. Seek out a mentor as early in your career as possible, even if your company doesn’t encourage this through informal or formal channels. You will find many senior people who will be more than happy to serve in this role, but you may need to take the initiative to approach that individual. In turn, you will be able to play a critical role for your mentor by providing your unique perspective on the business from your own experiences. What have you found to be the most important key for having a successful mentor/mentee relationship? Absolute and complete honesty is key, and this works both ways. In order for this to be a successful relationship, each participant needs to agree early on to absolute transparency, regardless of how difficult the discussion may be. Trust takes time to develop, but if there is an ironclad agreement about how this is going to work at the very beginning, the foundation for this trust can be established early in the relationship. Encourage and be open to constructive, and at times painful, feedback. One of my current mentees approached me after I served as emcee at a large company function with some tough feedback that I needed to hear, but that most people wouldn’t have taken the risk to share. In this case, I had developed the type of relationship with my mentee where we were always brutally honest. Since this mentee was early in his career and was relatively new to the organization, he took a risk by providing me with this type of direct and unsolicited feedback, something that some of my senior leaders may not have dared to share. I was obviously grateful that he had taken this risk and thankful for his candor and transparency. What is your advice for mentees? This answer dovetails nicely into the answer above. I would suggest that mentees be very candid and transparent with their mentors, and in turn, ask for critical feedback that at times, may be difficult to hear. As they say, “feedback is a gift,” and that doesn’t mean only positive feedback. A mentor/mentee relationship needs to be a safe place for hard conversations to take place, and where confidentiality and safety is assured from the very beginning. Some mentors are better than others on initiating the tough conversations, so a mentee should be proactive and seek this kind of input if it isn’t being offered. I would also suggest that mentees keep the mentors apprised on developments that take place in the workplace as they occur, as opposed to waiting for the next formal session, if such meetings exist. Many things should be discussed and tackled “in the moment,” so don’t be afraid to reach out to a mentor as things occur where a discussion could be helpful. I had a recent situation where my mentee waited to talk to me about something that happened several weeks prior, and after talking this through with her, I think we both agreed that it could have been handled differently with a more positive outcome. As a competitive equestrian, many weekends during show season find me competing with my horses at various events here in the Midwest. When I’m not competing on a Saturday, I’m still riding my horses, and training for upcoming events. Horses are very therapeutic and allow the rider to escape the demands of their daily lives. Working in the pharmaceutical communications area, I had one of my horse trainers and riding instructors tell me that when I was on horseback in his barn, I was no longer trying to find the next breakthrough in cancer care or manage the next big corporate crisis. He could tell that I brought the stress of my office and profession with me, and he reminded me that day that we all need a break and something that allows us to escape for a bit. Horses are my escape, and I’m a better person and more competent professional because of these magnificent animals. That’s an easy one. A very dry Tanqueray martini, straight up with extra olives. I began my career in the early eighties at an advertising agency on Madison Avenue in New York City where it was expected to take your clients out to lunch and consume a few martinis and conduct business simultaneously. You’ve seen the television show, Madmen, right? It was a thing! I actually had one boss who carried two briefcases at that agency: one contained work, and the other served as a portable bar that he took to meetings with the CEO of one our largest clients in case he wanted a drink (or three) whenever they met. It contained bottles of various liquors, a shaker, and various mixers and garnishes. It was impressive, especially to a young person like me who had just spent four years living at a fraternity house in college (when drinking age was 18, by the way!). I miss these days, but three plus decades later, martinis are still my drink of choice. I don’t drink them during lunch anymore, however. My alarm goes off at 5 AM (I grew up on a farm so this is biologically routine for me), and I then pray, meditate and reflect on life during the early and quiet moments of the day. I try to focus on gratitude each morning, something that I learned from one of my current mentors. I then feed and play with my six dogs and two cats and THEN, and only then, do I look at my e mail. Because I keep my mobile devices bedside in case someone needs to reach me overnight (after all, we are in PR! ), I used to turn the alarm off and then immediately check my e mail. I’ve stopped doing this, and it has made a remarkable difference to experience my “quiet time” BEFORE I look at e mails because all it takes is for one “bad” e mail to wipe out any serenity that you may want to achieve. Because I work for a Japanese company who is in a time zone 15 hours ahead of central time, it is important that I check e mail fairly early in the morning while my colleagues in Tokyo are still in the office, but it doesn’t need to be as soon as the alarm goes off. I then try to run each morning prior to going to work, because it again clears my mind and I find that I am mentally much more alert than the days that I don’t run before heading to the office. I also try to work out with a fitness trainer 2-3 days a week at the Astellas Corporate Fitness Center. As a health care company, we put a great emphasis on wellbeing, so this is a benefit that many of our colleagues enjoy. Something that is relatively new to my routine is trying to schedule as many meetings as possible over lunch in the company dining area. I feel that it is important for members of senior management to be seen as often as possible to start with, but it also is helpful as I can conduct several impromptu discussions by seeing people while waiting in line for lunch. I also find that it is much healthier to actually sit down and eat in the company cafeteria than to shovel lunch in at my desk while on my computer. One last lesson I learned. My late father, like generations of my ancestors, was a lifelong dairy farmer. He supplemented his income to provide for his family by driving school bus at both ends of the day. He was a very bright and articulate man, and a brilliant businessman, but he didn’t have the opportunity to go to college because his father suffered from polio. My father was the only son in the family so he needed to put his college dreams aside to help manage the family farm due to my grandfather’s health. My dad was perhaps one of my greatest mentors, and he taught me to always fight for the underdog, and be the voice of those who don’t have a place at the table. Again, remember that my father was a farmer and not a corporate CEO, and so while he didn’t always have a place at the table either, he advocated for others to make sure that they did. Secondly, he taught me that the most important part of any job or affiliation is the people with whom you work. At one point in my career, I was considering switching jobs and companies for a promotion, even though I loved the company I worked for and greatly admired the leadership. After speaking with my father and having him ask some very probing questions about my colleagues and the corporate leadership, I turned down the job. Looking back, it was the best decision that I could have made. Iam blessed that my mother is still alive and she taught me valuable lessons including not to gossip or to say negative things about people behind their back. This has served me well in the communications field.